Random Acts is shaking things up in a big way in 2017! Starting next month, as the kickoff event for our new Act Global campaign, we’ll be joining forces with Wish of a Lifetime to get kind for seniors across everywhere, and we’re hoping you’ll join in on the fun. In previous years, Random Acts has run monthly #GetKind themes meant to channel supporter energy to one specific cause — those themes ranged from “Mental Health” to “The Homeless”, from “The Environment” to “Animals” and wildlife. Now, we’re changing that tradition to make room for even more dedicated activity. 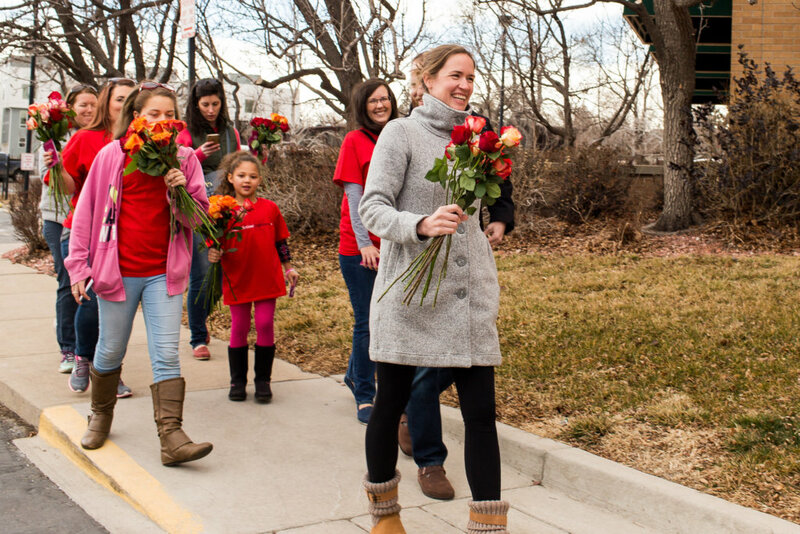 From February forward, Random Acts and its supporters will be working on three overarching #GetKind themes per year, so that everyone has more time to lend a hand or do their part. Each theme cycle will culminate in one major global act (or “Act Global”), whether that’s working with our cousins at GISHWHES on a big charitable effort (such as last year’s Syrian refugee project) or for our annual E4K fundraiser. In short, we’re limiting the number of official “themes” we roll out each year, so that you each have more time to take part in whatever way you’re able. Our February project with Wish of a Lifetime will be the debut event of the year-long Act Global campaign. Worried about brainstorming ideas? Don’t worry! Our social media team will be rolling out tips and ideas each month that you can use however you please. What is Wish of a Lifetime? How is Random Acts Partnering with Wish of a Lifetime? 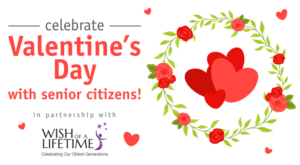 On Valentine’s Day this year, Wish of a Lifetime will be looking for supporters to help hand out roses to senior citizens — and we’re hoping our followers will heed the call! Here’s how that works: Supporters can sign up to participate in the following cities: Minneapolis, Minnesota; New Ulm, Minnesota; Houston, Texas; Garden Grove, California; San Francisco, California; Boston, Massachusetts; New York, New York; Kansas City, Missouri; Tampa Bay, Florida; Alexandria, Virginia; and Denver, Colorado. Make sure to email Wish of a Lifetime directly at cupidcrew@wishofalifetime.org with your details, and someone will help you get started. What if I’m Not in Any of the Participating Cities? The organization will be reimbursing up to 700 roses overall, so if you’re concerned about your wallet, you’ll still be able to get a little assistance — just be sure to follow the instructions below. “The reimbursement period will open at 10 a.m. EST on Valentine’s Day, Feb. 14, 2017. 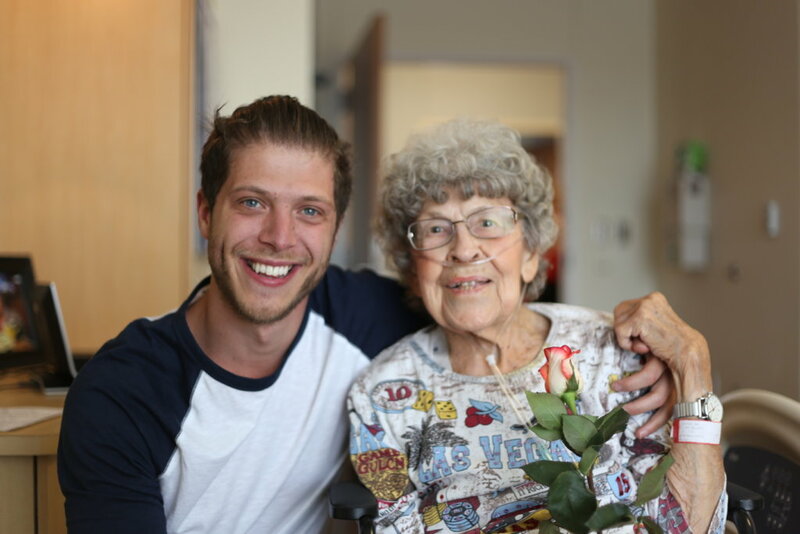 In order to be eligible for reimbursement, volunteers must take a photo of each senior they deliver a rose to (make sure you have permission from the appropriate individuals before photographing any faces, of course; Wish of a Lifetime encourages you to ask your senior recipients for permission before you take their photograph, if they’re able to give it). Have questions that weren’t covered here? Let Wish of a Lifetime or Random Acts know, and we’ll do our very best to help you out. We’re ready to get out, #GetKind, and Act Global! Will you join us?